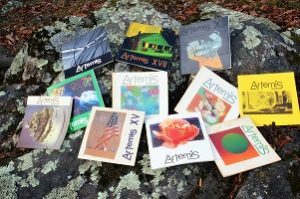 While Rogers acknowledges that she’s “not going to be around forever” as editor of Artemis, she clearly relishes the achievement each edition represents and considers last year’s issue to be her proudest moment. At the same time, she is quick to praise the many volunteers that have supported the journal over the years, noting that “it literally takes a village to sustain the energy needed for Artemis.” Two of the key players since the beginning have been literary editor Maurice Ferguson and Virginia Lepley as design editor. Jeri also recognizes that organizations such as the Taubman, which provides space for the annual issue launch free of charge, and the Roanoke Arts Commission, whose grants have given Artemis crucial financial support. As poetry and essay submissions began to arrive for this year’s issue of Artemis Journal, editor-in-chief Jeri Rogers discovered that the chosen theme, “Women Hold Up Half the Sky,” had struck a chord. The result, the 25th issue of Artemis, will premiere May 4 at the Taubman Museum of Art with a reading by this year’s featured writer Sharyn McCrumb, author of many New York Times best-selling novels. The abundance of riches from contributors resulted in a much thicker issue than usual. “It’s about twice as big as we normally publish,” Rogers said. Though Artemis focuses on the arts community in the Blue Ridge Mountains, the journal accepted work for Artemis XXV from contributors who live well beyond Southwest Virginia, including a poet from Italy. “We’re just amazed at the amount of submissions and wonderful writers,” Rogers said. The 200-page issue was funded in part by a $2,500 grant from the Roanoke Arts Commission and features poetry from former U.S. Poet Laureate Natasha Trethewey and other poets with regional ties such as Nikki Giovanni, Jeanne Larsen, Judy Light Ayyildiz, Marly Youmans, Adrian Blevins, and many more. The issue also includes art by Betty Branch, Lucy Hazlegrove, Donna Polseno, Gina Louthian-Stanley, Michele Sons and other Southwest Virginia artists. With cover art by Roanoke artist Tricia Scott, Artemis XXV is bookended by two works of fiction. McCrumb, who lives in Roanoke County, contributed an excerpt from her 2003 Civil War novel “Ghost Riders,” about a woman who plans to follow her husband by dressing as a man and joining the Confederate army. The final short story, “Equality Day” by Blacksburg author Mindy Quigley, is a cautionary tale of science fiction, imagining a future in which “equality” has been achieved by eliminating all physiological differences in people. The story is the winner of the $100 Artemis Journal/Light Bringer Award, a competition for sci-fi stories with feminist themes that the journal co-sponsored with the Light Bringer Project (a California nonprofit) and the Hollywood chapter of the National Organization for Women. Artemis intends to donate 10 percent of the proceeds from sales of this issue to the Women’s Resource Center of the New River Valley in Radford. Artemis has been around for 40 years, but this issue doesn’t commemorate an anniversary, as the Roanoke Valley-based literary journal had been dormant for more than a decade when Rogers and her crew of volunteers revived it in 2013. Artemis began in 1977 as a publication of the long-defunct Women’s Resource and Service Center, a project of Roanoke nonprofit Total Action Against Poverty, now Total Action for Progress. Rogers, a photographer originally from Texas, was the center’s first director. 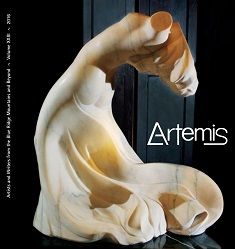 In the beginning, Artemis only published work by women. While most of us are distracted by the trendy and fashionable, what really sustains, enriches and heals us are the arts and their legacy. Artists and writers are our visual story tellers, creating bridges of understanding and healing. I know this from a personal level. I was raised in southwest Texas. The art of Georgia O’Keefe, Monet, Ansel Adams and Picasso were my early artistic influences. “Earth laughs in flowers” by Ralph Waldo Emerson reminds us with his unique vision into the natural world. “Keep love in your heart. A life without it is like a sunless garden when the flowers are dead”. The origin of Artemis started there and was rooted in social activism at the Women’s Center. As a counseling center for women facing problems ranging from physical abuse, housing, food stamp assistance, employment counseling and alcoholism, writing workshops were created to help our clients work through their problems. 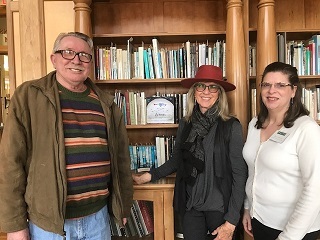 At the center, I saw first-hand the healing power of the arts and journal writing through the workshops which enhanced the well-being of our clients. The poems, essays and art created hope and optimism that were needed to remind the women that not all is lost and there is still good in the world. The earliest known and most celebrated journalist was Leonardo da Vinci. He was a remarkable genius who used art note booking or art journaling as a powerful tool to expand the mind and enhance creativity. Around 1508, Leonardo bound his manuscripts by folding and sewing a stack of paper down the center. His innovative process is shared by many writers, engineers and designers using this powerful tool to enhance thinking on paper and creativity. Many artists have shown us their personal healing through their own expression. Frida Kahlo transcended her emotional and physical pain through her portrait painting. Henri Matisse found a second life through his art after his cancer diagnosis. Florence Nightingale, the modern nursing founder proclaimed “Variety of form and brilliancy of color in the object presented to patients are actual means of recovery.” Many experts today believe that art in a patient’s environment helps them to heal faster. According to scientific evidence, nature’s images can reduce anxiety, pain and stress. Our mission at Artemis is to promote and foster excellence in the arts and literature in the Blue Ridge Mountains and beyond. We believe that supporting the arts and literature enriches everyone’s lives in our community. 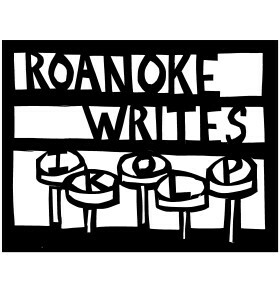 This year’s featured guest writer is Ron Smith, Poet Laureate of Virginia and guest artist is Roanoke Sculptor, Betty Branch. Continuing in our tradition, Artemis 2016 is presenting a number of first-time published poets and artists, along with many distinguished published contributors. 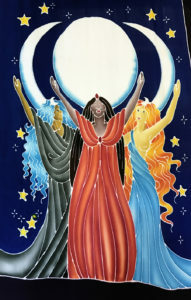 Betty Branch, our guest artist, nurtured Artemis Journal by previously serving on our Board of Directors and she has graced many of the past Artemis Journals with her art. Her sculptures can be found throughout the Roanoke Valley-in the downtown library, at the Taubman Museum of Art, and at Hollins University. Her work has been exhibited far beyond the Roanoke Valley, as well as in New York, and in the beautiful Brook Green Gardens of South Carolina. 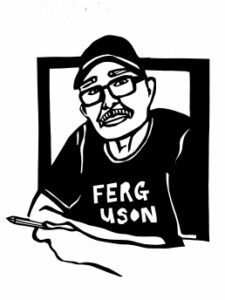 The launch celebration of the 23rd Artemis journal will be held at the museum on Friday, May 6 honoring our guest writer, Ron Smith and guest artist, Betty Branch. The reception begins at 6:30 p.m. with a wine and cheese reception followed by a Ron Smith’s talk at 7 p.m. The event is free and open to the public and the Artemis Journals will be available for purchase. 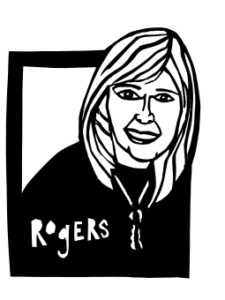 Rogers is editor and founder of Artemis Journal. Our president has finally accomplished what he promised to do and has signed a law to trim federal aid to Planned Parenthood. This follows the historic Women’s March earlier this year. President Trump has chosen to ignore millions of women and men who stand for the freedom of choice of reproductive rights for women. This type of attack on Planned Parenthood puts women at risk, especially those that are under-served in rural communities by making it harder for women to have wellness and health services. I often wonder who are the women and men who voted for the president. Who are those voters who choose to believe that the status of women is safe, did not march or do not identify with our cause? The Women’s March last January by millions ignited the recognition that women’s rights are human rights. We are all better off; our families, our communities, our businesses, our education and our health thrive with equal rights. In the world scale, the United States ranks 45th for women’s equality, behind Cuba, Philippines, Jamaica and Rwanda. Yes, I marched in the Women’s March in my hometown of Floyd along with millions of other women and men around our country and the world. I marched because I believe our equality as women is an illusion and in grave peril of disappearing with our current president. It is time to open our eyes to the fact that we women are not equal. During this time, inspired by the talented women I met while photographing, I asked them to volunteer to teach writing workshops for the abused women clients at the center. Introducing writing as therapy I witnessed a remarkable healing transformation with the abused women. Finding their voice with writing assignments, I then decided to create a publication for the women showcasing their writing. For the first three years, 1976-1979, Artemis was a feminist journal and then enlarged its scope to include men, as contributors and board members. Celebrating our 40th anniversary this year, Artemis still carries the torch for equality giving a voice to the artists and writers who share in these ideals of equality. Artemis, namesake of our journal and goddess of light, had the divine duty of illuminating the darkness. Often she is depicted carrying a candle or torch, lighting the way for others and leading them through territories yet uncharted. 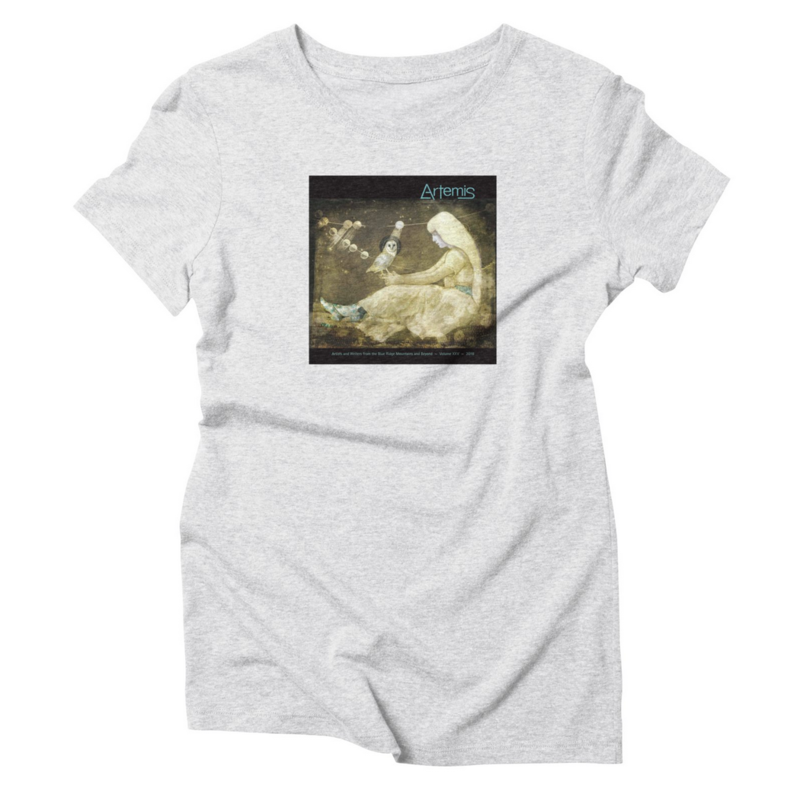 Known as the chaste Greek goddess associated with the moon and hunt, her connection with the natural world symbolized her own un-tamed spirit. She became the patron saint of women, childbirth, protector of wild animals, virgins and the powerless. And she became the patron goddess for our journal Artemis.